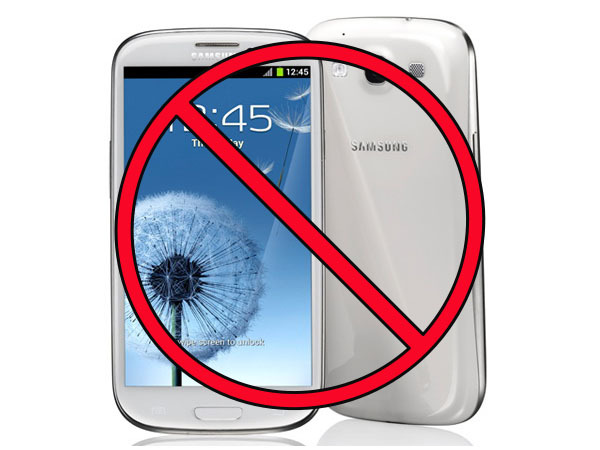 Apple has requested permission from a US federal district court to file a motion for preliminary injunction against the sale of Samsung’s upcoming Galaxy S III handset. Samsung recently announced that the device would launch later this month, and Apple is wasting no time trying keep that from happening. Apple was granted an import ban against HTC smartphones over this same “data detectors” patent. It is related to a feature that automatically recognizes certain data types—such as addresses or phone numbers—and turns them into clickable links that optionally perform a map lookup, dial a phone number, or do some other action. HTC ultimately removed the feature from its latest devices to work around the ban. Apple’s motion is likely to be discussed at the hearing on Thursday. Apple’s earlier attempt to gain an injunction against Samsung in a separate lawsuit was denied by Judge Judy Koh, who is also adjudicating the Nexus case. Apple has successfully appealed part of Koh’s ruling related to patent validity, however, and may have another chance at an injunction later. Meanwhile, Apple and Samsung have been busy giving oral arguments before the International Trade Commission, where Judge Thomas Pender has said he will use the “Cheech and Chong” test to determine if Samsung is violating Apple’s iPhone and iPad design patents. The CEOs of both companies met recently to discuss a settlement to their ongoing mobile patent dispute, but the court-ordered mediation talks ended without a compromise in sight.